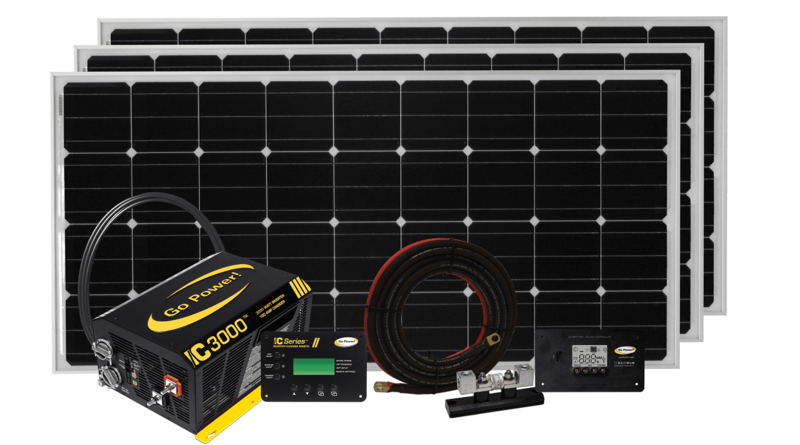 setting up a new solar DC power system takes half the time of a standard installation! 1 – Go anywhere: Stay connected to an electrical source while remaining off the grid. 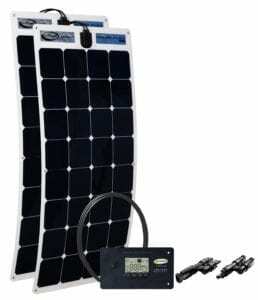 2 – Free and endless battery charging: Harness the power of the sun to charge your batteries. 3 – No generator needed: Enjoy the peace and quiet of sun power instead of a loud generator. Learn more about the benefits of solar. 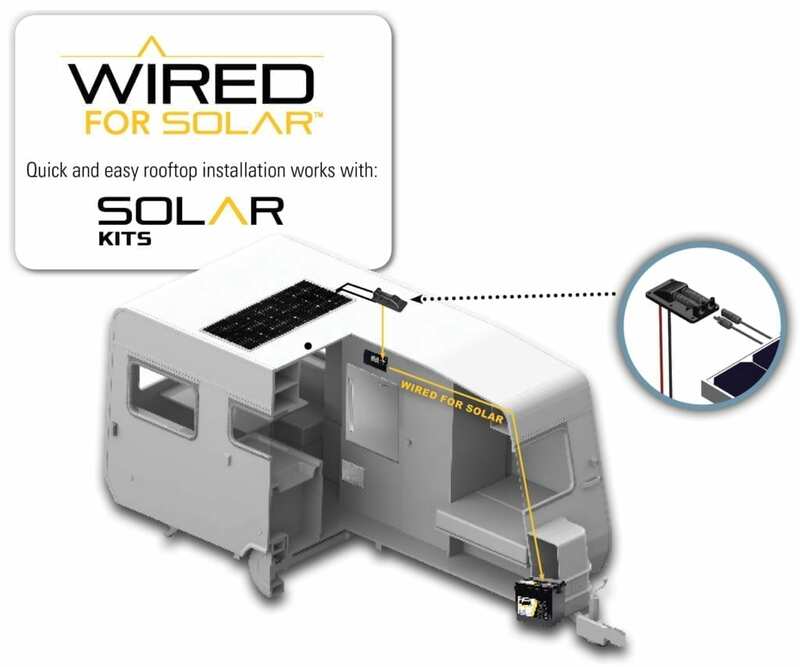 Our solar kits are perfect for your pre-wired RV. They use high quality MC4 connectors making the connection quick and easy. Just keeps the essentials going, charges batteries for DC power only such as lights, fans and other DC appliances. For the RV’er that wants the comfort of home, these systems provide AC power for your electronics and appliances as well as DC power to keep the lights on. 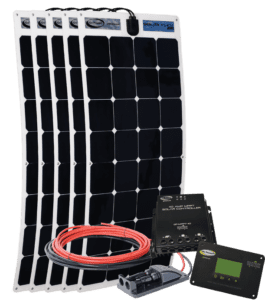 DC-only power for your not-so-flat RV rooftop! These are thin, lightweight and flexible, and can even be mounted with adhesive.